Today was a down day. No storms anywhere (sound familiar?). So, since we were in Waco, we decided to go look at the infamous Branch Davidian site. It was pretty strange... a couple of memorials, some members still living there, a new chapel on the site of the original compound, and the ruins of the compound... all open to wander around. In fact, we never ran into any people there. 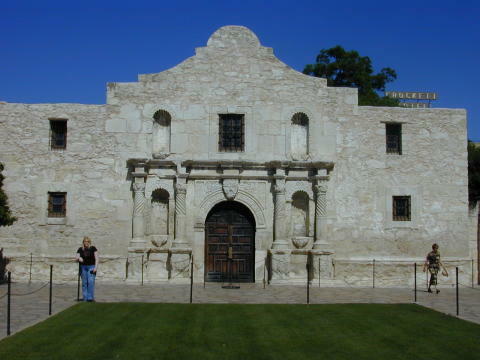 Then down to the second Alamo - the real Alamo, hidden away in downtown Texas. Interesting to see first hand and to view the museums. 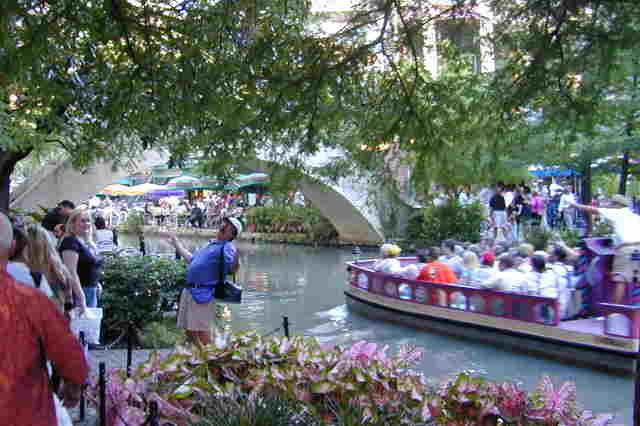 Finally a walk along the famous "San Antonio River Walk." This is a really neat place, below street level, with shops and restaurants along the "river" - which had people barges on it. All in all, a pretty good day for a non-chase day. 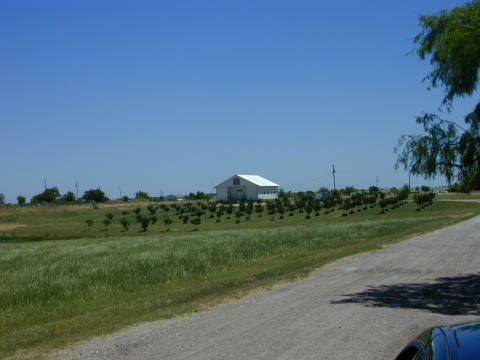 The Chapel at the site of the original Branch Davidian compound, viewed from the road. The trees are a memorial - one tree for each person who died in the siege.